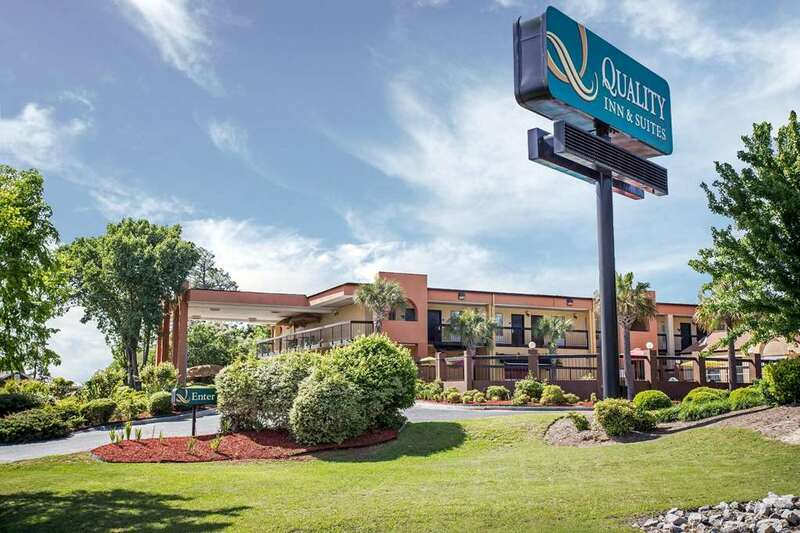 Get more for your money at the Quality Inn and Suites hotel in Aiken, SC near the University of South Carolina Aiken. Nearby attractions include Augusta Regional Airport, Hitchcock Woods, Aiken Technical College, Aiken Regional Medical Center and Savannah River. Get more value with amenities like free hot breakfast, free WiFi, a full-service bar and lounge, copy, print and fax services, a seasonal outdoor pool, guest laundry facilities and free coffee. Rooms include a refrigerator, microwave, hair dryer and TV, while select rooms come equipped with a hot tubs and kitchenettes. Also, earn rewards including free nights and gift cards with our Choice Privileges Rewards program. Pet Policy Pets allowed, 20 USD per pet per night, 60 pounds max per pet, 3 pets per room.